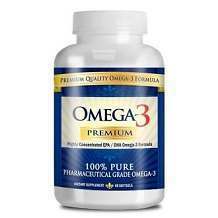 The following is our review of Holistic Health International Fish Oil Omega-3. It is a dietary supplement containing EPA and DHA. It should be able to help lower blood pressure, reduce triglycerides, slow the development of plaque in the arteries, reduce the chance of abnormal heart rhythm, reduce the likelihood of heart attack and stroke, and lessen the chance of sudden cardiac death in people with heart disease. Continue reading for our full review. Other ingredients include galtin, glycerin, water, and vitamin E.
It is recommended to take this product as a dietary supplement. Adults should take 1 softgel capsule 2 times a day with meals or as directed by a healthcare professional. There are no possible side effects listed on the manufacturer’s website for this product. If you take more than 3 grams of fish oil daily, it may cause a risk of bleeding. It may also cause loose stools, nausea, and an upset stomach. 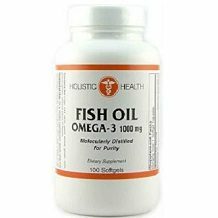 Holistic Health International Fish Oil Omega-3 can be purchased directly from the manufacturer for $7.88 for a bottle of 100 softgels. This is extremely affordable and cheap compared to similar products on the market with the same ingredients. Each bottle will last you about a month and a half. This product does provide information regarding a return policy but unfortunately it is not that strong. All returned items must be sent unopened and in their original condition within 30 days of your invoice date. In the return package, you will need to include a copy of your original invoice and an indication if you would like a refund or store credit. They can’t accept returns after 30 days and will not apply a re-stocking fee to any returned items. This return policy doesn’t allow you, the customer, to actually see if the product works before deciding to return it. There are a couple of positive things about Holistic Health International Fish Oil Omega-3. This product is sold for a very affordable price compared to similar products on the market. It also should cause no long-term side effects when used correctly. This product has a few negatives as well. We were unable to find it sold anywhere else online or any customer review, which was very suspicious. This product also lacks a strong guarantee showing that the manufacturer does not have much confidence in their product’s effectiveness. It also doesn’t allow the customer to be confident in their purchase and a risk-free buying experience. We feel you can find a better product elsewhere.